A few weeks ago my good friend John Schimpf introduced me to his friend John Cuniberti, an amazingly talented engineer who has worked in the industry for many years with some great artists. He explained his idea of recording artists for a series with only using one mic. 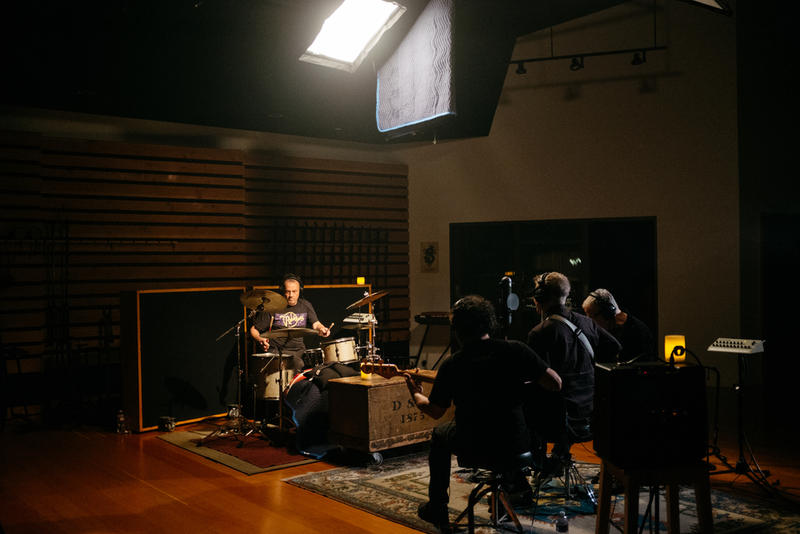 A few weeks later we are in the studio at 25th Recordings tracking the first group of artists. This may seem like an easy task. Set up a single mic, place the band around the mic and start recording. Although this is how they used to record some amazing records this is no easy process. It took the engineers hours to get the band into the right position and levels to make everything sound great. At the same time there is a great amount of collaboration involved to make sure I’m still able to get great looking images without hurting the sound. Im excited to be releasing some of these films soon and even more excited about the possibilities of tracking more of these with as many artists as we can. I love working with musicians in this environment and challenging each other to create a great sound and beautiful images.